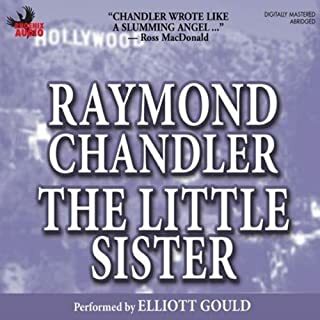 Hard-boiled detective Philip Marlowe follows the trail of a missing woman in Raymond Chandler's classic mystery tale. 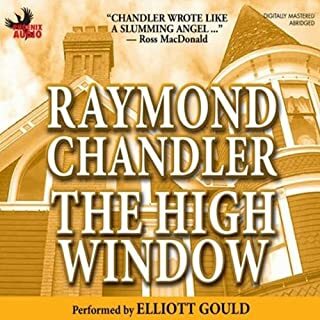 Experience Chandler's cool wit and taut language as his most famous character travels through the sunbaked streets of Southern California, unraveling a tangled web of murder and deception. Elliott Gould, who played Marlowe in Robert Altman's film version of The Long Goodbye, once again brings L.A.'s toughest private eye to life. Gould captures the distinctive combination of cynicism and gruff compassion that have made Marlowe one of America's favorite fictional heroes. 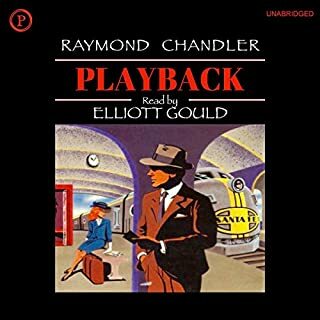 ©1943 Philip Marlowe B.V. (P)1990 Dove Audio, Inc.
Chandler fans (like me) will enjoy this book, however, it is not the author's best work. This novel is not as witty or compelling as his other stories. The plot is complicated and difficult to follow. Even after repeated listenings I still have trouble following which character is suspected of what. That confusion left this reader a bit bored. Elliott Gould's narration is amazing. I enjoy all Chandler's books, this isn't one of my favourites though. Bafflingly, the recording is abridged - why?? These books are short to start with so it's utterly unnecessary and I think the story suffers from it. 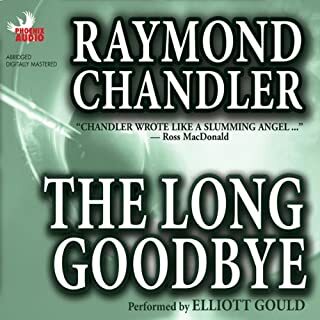 Gould has the right voice for the Chandler books but his monotone gets annoying after a while, most of the story is a very flat reading, which doesn't do the source justice. This Audible Version is Abridged. 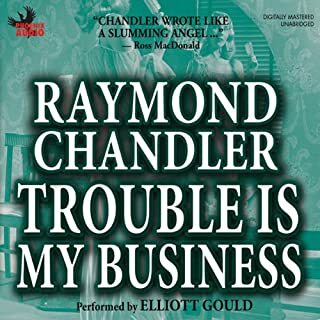 Would you try another book from Raymond Chandler and/or Elliott Gould? 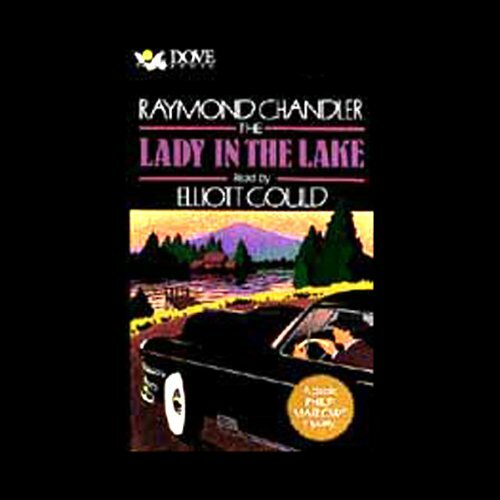 What other book might you compare The Lady in the Lake to and why? What character would you cut from The Lady in the Lake? 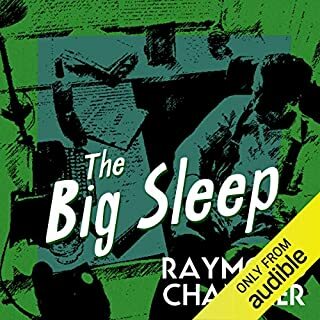 I wanted to read the novel along with this audible version but discovered that much, if not most, of Chandler's wonderful descriptive text was omitted. I only got through chapter one and gave up. Fine if you just want the story line, but so much is missed that matters to those of us who love books and descriptive prose. I enjoyed the Lady in the Lake novella very much. I own the cassette version of this book and it is fine. I have not downloaded Audibles version. Historically I don't like titles in a quality less than format 3.